I've been doing some research on Pinterest lately and I want to share with you all of the tips and tricks that will help you boost your blog traffic and revenue! 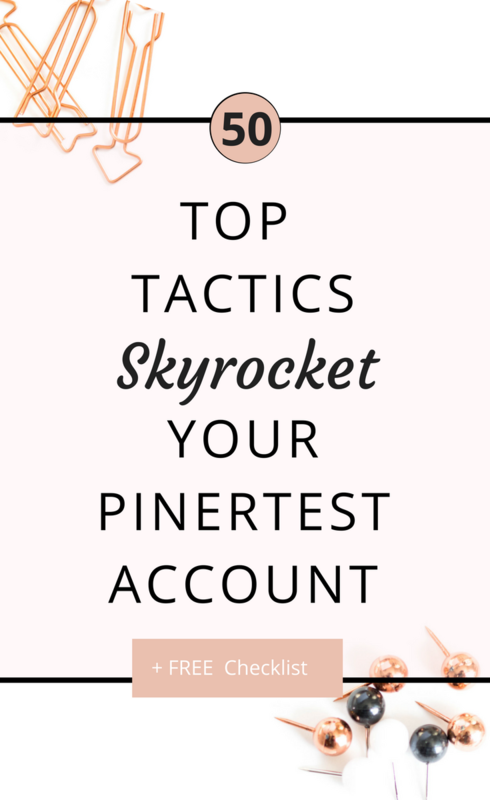 So before I can begin I can't stress the importance of using Pinterest to develop an active following, lead to revenue in your pocket, and grow your blog/business in the most organically way possible. Pinterest is not a social platform...I REPEAT PINTEREST IS NOT A SOCIAL PLATFORM. If you didn't know that already you do now. People aren't there to make friends and bond over their love for baking sugar cookie. They are there learn how to bake a sugar cookie, that's it! So just like google is to your Pinterest is the same way to over millions of people every single day. Use it and capitalize off of it in the smartest ways possible. If you don't already know I moved from Color U Bold to She Bold this past January. My traffic was booming over there at an astronomical rate so as you can tell I was a bit worried about changing my blog in the middle of viral city. However for my own sense of well-being this is what I needed to do to start fresh again. You can read more about my reason for re-branding here. When I made the switch I had absolutely no traffic what so ever coming from Color U Bold to She Bold. So I had to start almost from scratch. I liked that though because I wanted to see if I was able to grow my new blog using the same platform that boosted my traffic and stand out abilities. I've been able to get most of my traffic redirected back over to this blog however it is still a challenge. 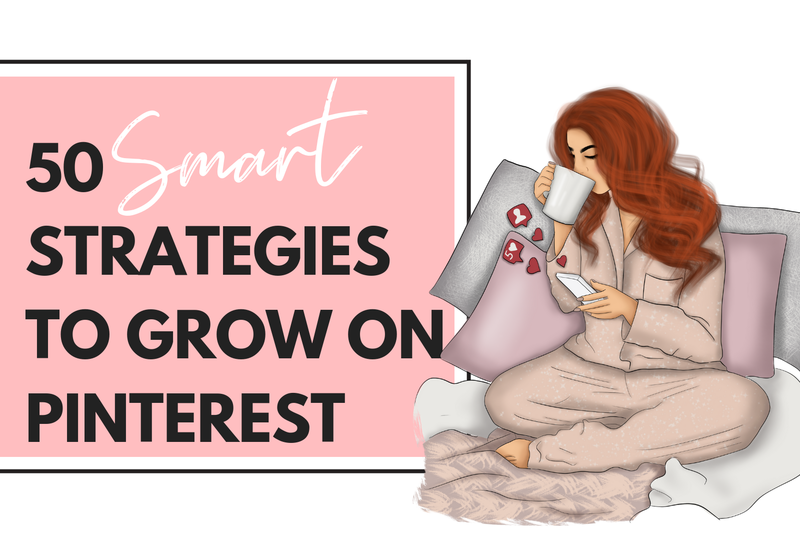 Soooo that being said I'm here to share with you over 50 SMART STRATEGIES I'M USING TO GROW MY PINTEREST IN 2018! I'll be updating you periodically on this article to show how I progress! 3 Reasons why pinterest is important! It's one of the best ways to get referral traffic! With facebook, twitter, and google + links can get lost easily however with Pinterest your content have a longer lifespan. Pinterest drives traffic from search engines like google because of it's SEO capabilities. The higher the traffic the more google will index it at the top of their search engine. You find more things to blog about. By knowing what's popular and what your audience is pinning you are able to create content that caters to them. You hear this all the time but it's actually a smart move however many people don't tell you why its a smart move! Check out how to set up a business account here! 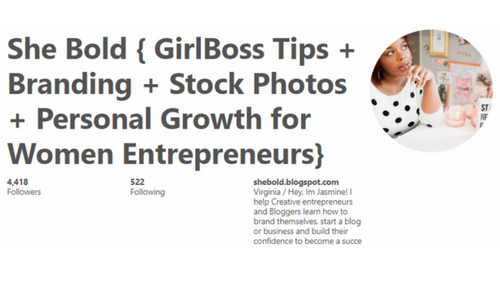 If you are making money(through your blog or through pinterest) this is required, PERIOD! 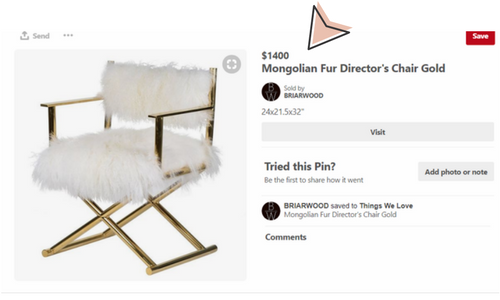 In Pinterest's Terms and Agreements it states that "Commercial use of pinterest if you want to use our products for commercial purposes you must create a business account and agree to our Business Terms of Service." You'll get access to the latest business feature such as rich pins, promote pins, and your analytics. It's important to look at your analytics in order to focus on what people like, what they are looking for, and why they are clicking on your pins. You can use those analytics to create content that your audience will like. It makes your brand look more professional. By including rich pins(adds additional info from your website) that include your business name, favicon, blog post title, and description, and even a call to action button (depending on what type of rich pins you are using) will help you look more trustworthy, allowing for more click throughs. But will talk about more of this later! Include smart keywords in your photos file name too! Turn off your search privacy settings. This is a great way to easily be found when pinner's search for a specific keyword. For example I'm a stock photographer so I'm going to add in "Stock Photos" in my business name so that when someone search for stock photos I'm one of the top people they see. Add Keywords to your business bio. Just like any search engine you need to include keywords to help people see your profile. Use targeted words that people normally look up in the search bar. For instance if you are a branding expert...go up to the search box and put in your keyword, Branding, then look to see what people are searching for in the top categories and pick from there. I want to talk about this a bit more! Rich Pins add more context to an image giving it a better experience for viewers and increase engagement. There are four types of rich pins to choose from. Anytime you update a post or a page that is attached to a rich pin, that pin is automatically updated too. It makes your pins stand out by making your images look more professional and official. It makes your pins easier to read because you are able to give a full description that will help readers and potential customers know what they are getting before they click. Rich Pins are used for better descriptions on products, recipes, articles and even apps you've created. Once you set it up you don't have to worry about it anymore! Use both hashtags and keywords for your pins. In order to get to your targeted audience you need to use the right keywords and even hashtags. So the same way you searched for your keywords for your bio, do the same for your pins too. This ensures better reach to the audience you desire. Make sure to rename your images on your site to keywords and phrases that match your blog post. This ensures that if someone does pin your image it will already have a unique description. Add in 1-3 hashtags but don't go overboard with because pinterest isn't a big fan of it. Add alt tag descriptions on your images so that when others pin your images the keywords will already be there. Create boards that cater to your audience! In order to get followers you need to have what they are looking for. Every single board should have a purpose. Come up with 10 boards that cater to your audience and your brand. Fill up those boards with at least 50-100 pins. Pin your pins and also others relevant to the board. Hide any irrelevant boards that doesn't make sense to your audience. Take for instance I have a secret board for how I want my apartment to look...sure maybe somebody would want to see it but does it fit with my brand....naaaah fam haha! Make cover photos Use this article to find out how! Make the board names obvious and specific. For example: Instead of "photography" try "photography tips for beginners"
Add keywords in the boards description. Let people know what your board is about yet use keywords to get in front of the right audience. Fill them up with 50-100 pins that are relevant to the board to make your board look complete. 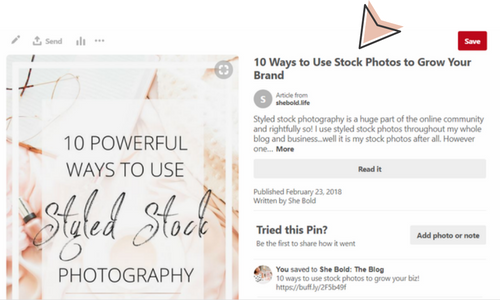 Create a board just for your blog pins and make it your first board! Make sure the most popular boards are at the top! Make your boards match your branding! I spoke about this earlier but it's important to brand your boards just like you brand every thing else. Either make cover photos yourself or make images you pin your cover photo. Try to pin images that kinda of match your style. For instance if your brand is light and airy pin images that are light and airy. Click here to learn how to create custom boards. Start Following people when you are starting out. Mention pinners in your description! This is a smart way to get others looking at your account. Make it a thing to find out who you are pinning or repinning so that you can add their username to the description. This doesn't happen often so that makes it even more special because you are going out of your way to mention them. Most likely they will check out your pinterest account and follow or repin something of yours! Joining group boards allow you to reach more followers of that board. You need to focus on finding the right boards and pinning the right images to that board. Check out the groups boards that successful pinners in your niche follow. Find group boards with re-pin rates of at least 3 per pin. Click on one of the group boards and look at the bio to see the instructions of joining. Most of the time you have to follow the group board and email the owner. When I started a free trial with Boardboosters I believe 100% that's when my traffic and growth increased on my pinterest and blog. I pin about 50 pins per day using Board Booster. If I had to do that manually it would take so much longer and waste a lot of times well spent somewhere else. But don't forget to manually pin, comment, and follow people as much as you can on a daily basis because although Pinterest isn't a social media, pinterest will cater to you more if you are present on there often by showing your images to more people. Pinterest prefers active pinners! Pin about 50 pins per day using a scheduler like boardboosters to avoid flooding your follower's feed with pins. Manually connect with Pinterest by pinning, commenting, and following others. Thank people for pinning your images! This is something you don't see often but it will make you more memorable and eventually lead to more followers. 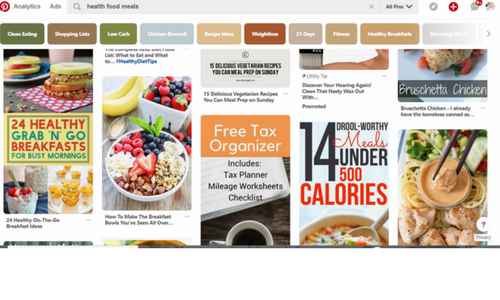 You can also do this with boardboosters or any other pinterest scheduler. The best times are usually between 2pm-4pm during the day and late nights past 8pm-1am est. Adding call-to-action in the descriptions see more than 80% increased engagement. Trending topics see an average of almost 95% increase engagement. To make it easier to share images that you love add a pin it button to your browser. Look for pins on stumble upon, other influencers websites, tumblr, even instagram. You can even use this opportunity to pin this post...just click here hehe! Get bigger influencers to pin your images! To do this try out the method of mentioning them in your images descriptions. Follow them, repin their work. Reach out to them through their email and let them know you are enjoying their work or engage with them on other social media platforms. 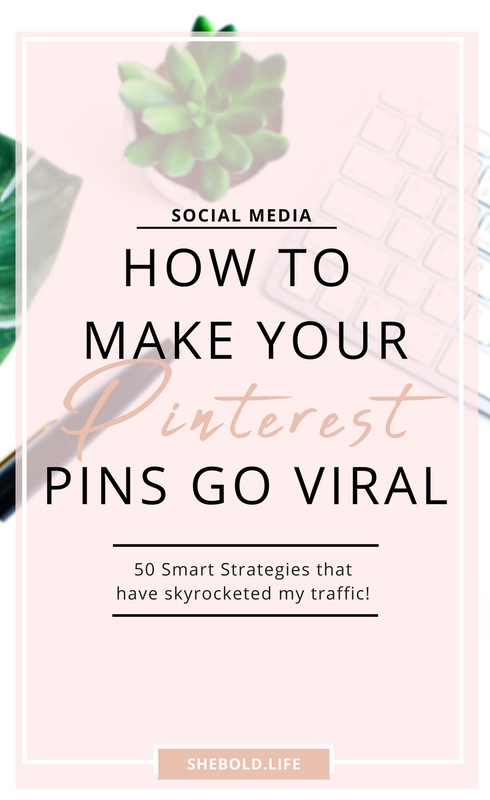 Connect your social media platforms to pinterest! This is a great way to let your other audiences from other platforms see relevant content. If they like what you are pinning they may go over and follow you. Use this to automatically publish your pins to other social media platforms. Yep just like you would do on any other social media Call-To-Actions work the same. Add "click here," "comment below," or "repin this" for more click through and repins. While you are at it include a link too! 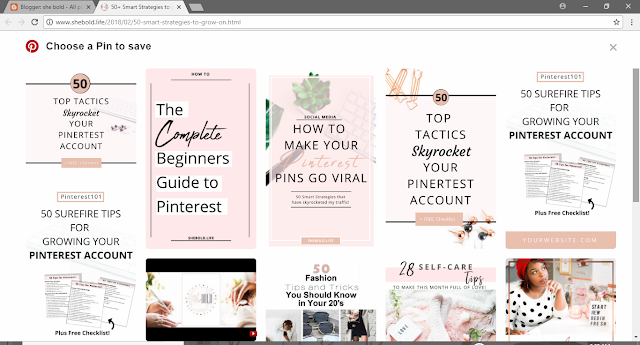 Activily participating and enagaging in these promo days will allow you to get the engagement on pinterest that you want. Make sure you are reading the description and make sure you are promoting correctly. Some may say to repin all or repin only 3-5 others. Stray away from pin promos that require you to pin all of them. I say that because you don't want to pin something that doesn't align with your core audience on pinterest. That can definitely ruin your reputation and credibility on pinterest. I use Shareaholic social sharing buttons. I use them everywhere: from the top and bottom of my blog posts to floating social sharing buttoms that scroll when you scroll on your right. Or if you are mobile it will be at the bottom as you scroll. 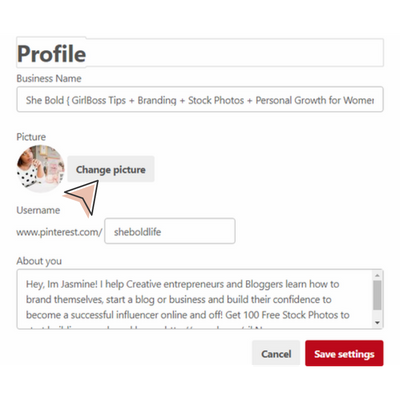 Create hidden images within your blog post to pin on pinterest too! I've hidden 3 extra pinterest graphics for this post! Click on the social share buttons to your right (on at the bottom on mobile) to see it in action too...maybe even pin hehe! 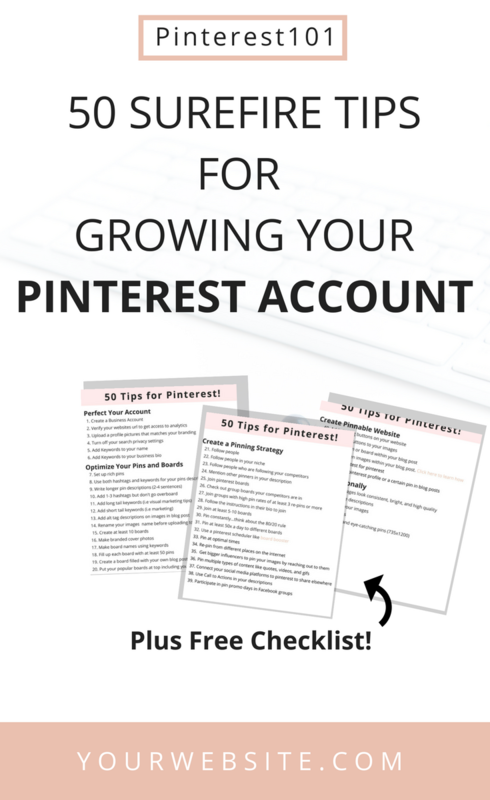 Link to your pinterest profile or a certain pin every now again! When it's relevant link to your pinterest account inside a blog post. Like you should totally check out my pinterest account and get more tips here! Create a Contest for Pinterest! This is something I just learned and I definitely want to try it out! You can create a contest for people to pin a certain pin or board from your website or pins already on your site. This will not only get people pinning your images but you could possibly go viral! If you upload an image make sure you change the file name from ex. "6456456465.png" to "how to make pinterest graphics." Like I stated before you need at least 2-4 sentences. Craft a message, share a story, give a tip, and add some type of value to each image. You have 500 characters so use them to make it count! Text stand out more than with just regular images. Especially if you make it eye catching. Now that I've rebranded I have to go back and make images that are branded correctly. I use my easy pinterest template formula to create these so it's not as time consuming! Same can be said for really old (I'm talking 2012) images that I pinned. Pins should be taller than they are wide. Aim for the width to be 700px and at least 1200px in height. I like to make them a tad bit longer for infographics. Taller images are 10x more likely to get pin. People are visual and they also scroll fast so get their attention quick with long images and take up as much space as you can. If you need help get these done-for-you templates to save time! 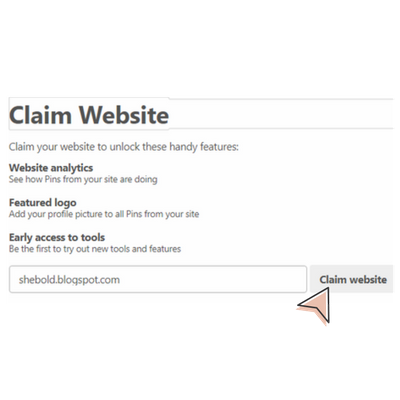 Attract more click throughs with free lead magnets(freebies) displayed on your pins. This was such a big post to create and research! So I hope you will be able to look through and find tips and tricks that you may not have heard about! Also I have a checklist of everything that I talked about in this blog post! Get it now and start checking everything off your list! Did you find something new to incorporate into your pinterest strategy? Did I leave out something that has helped you? I'm doing some of these but not all of them. I definitely need to switch some things up. Thanks for sharing! Really great tips! Totally pinning this for later! 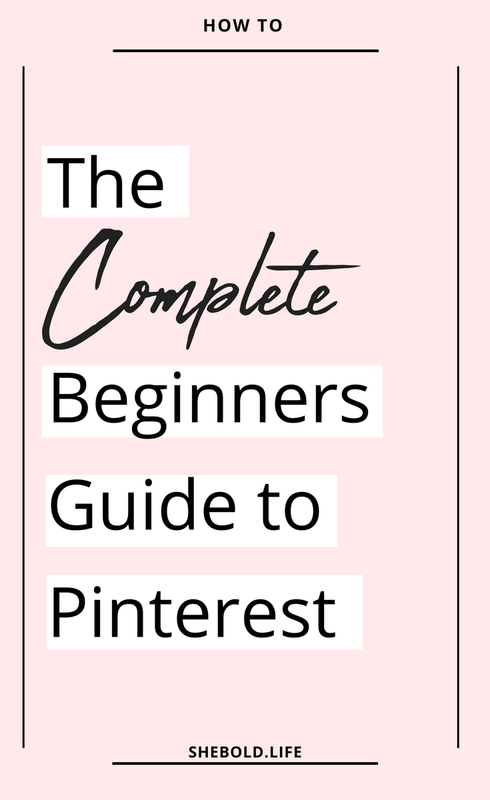 Pinterest is one of my biggest traffic sources and I'm definitely going to be adding a few of these tips to what I'm already doing! Some great tips here! I love Pinterest and will be bookmarking this to work on!